Camille Robinson here to share a glittery fluffy bunny tag I made just in time for Easter with this week’s Stamp of the Week, “Fluffy Love”. 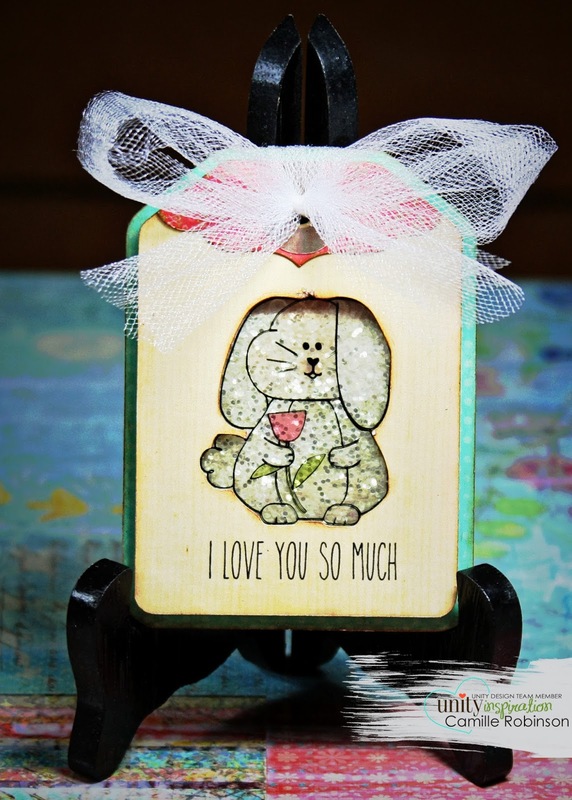 There are only two more days to to get your hands on this stamp because a brand new one starts on Sunday. We gotta keep it rollin’ folks! 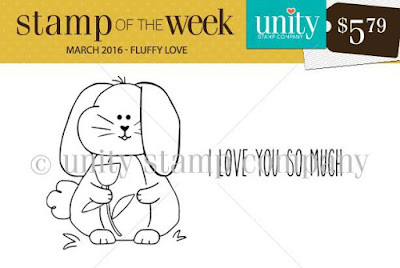 Select the image below to be taken to Unity’s Stamp-of-the-Week Subscription page where you can get on board starting with this cutie. This image isn’t just for Easter. 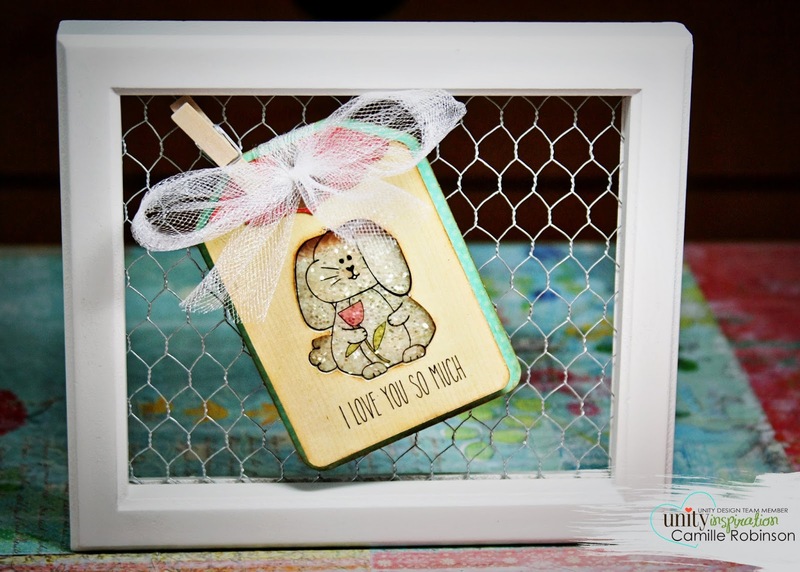 Here’s another peek at my tag hanging from a chicken wire frame--PERFECT for a baby’s room décor. I hope you have a great rest of your day and a LOVELY time with your family and loved ones this Spring weekend!